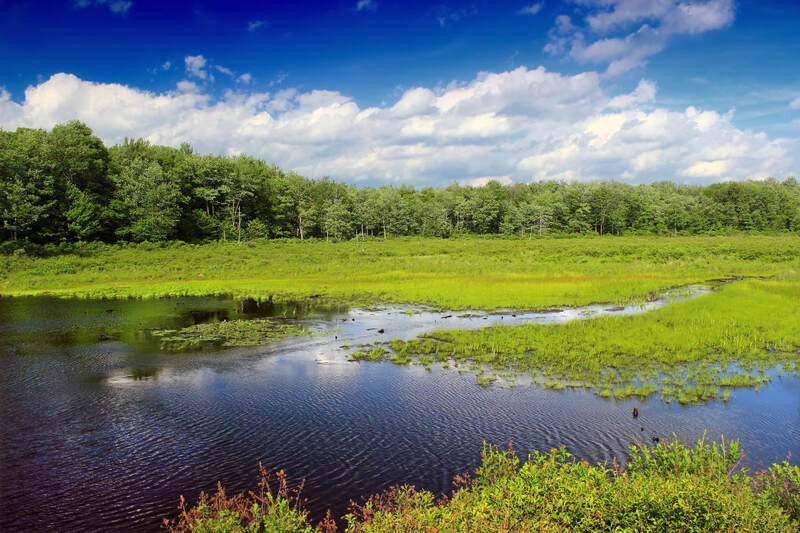 Dominated by wild rivers, wooded mountains, historic sites, and charming small towns, Pennsylvania’s Pocono Mountains are a quick outdoor getaway from the urban centers of Philadelphia and New York City. And thanks to the region’s craft brewing scene, you’ll have no trouble pairing your adventures with craft ales in the region. 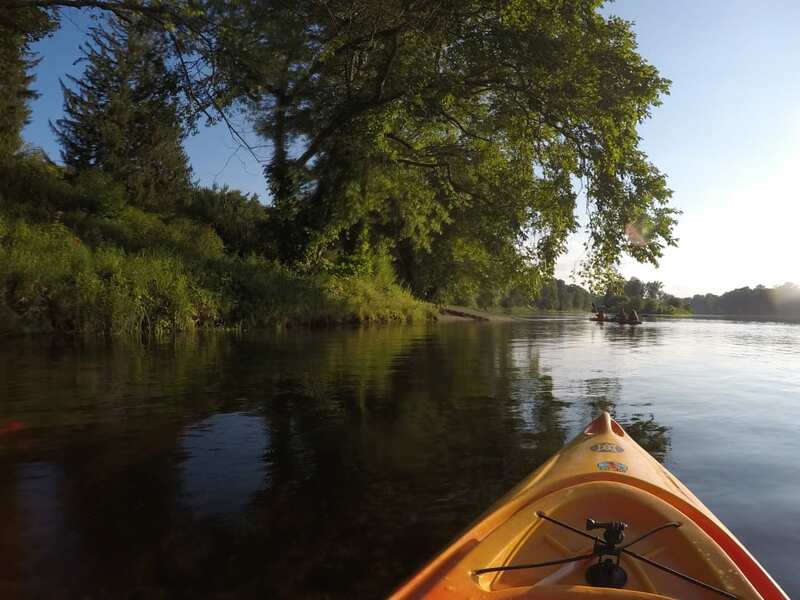 Whether you love exploring trails, uncovering history, or going for a paddle, use this list to craft an adventure at five Pocono breweries within 10 miles of top trails and lakes. 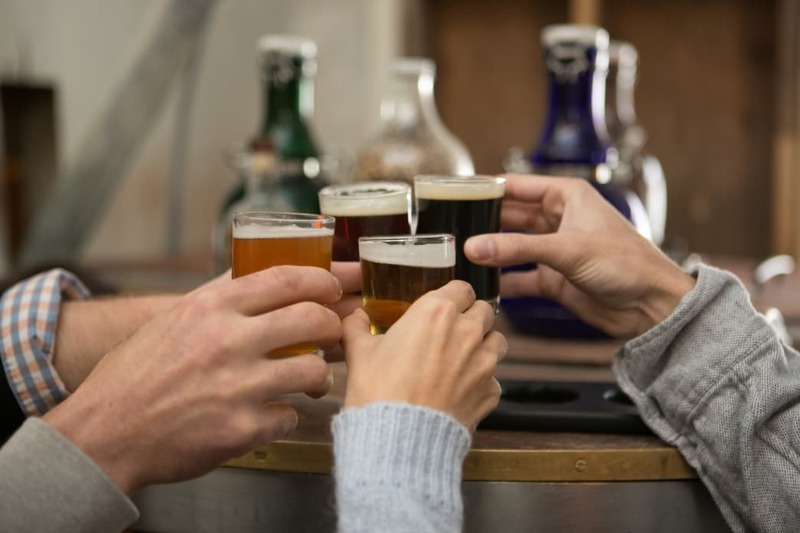 To score free tastings and exclusive specials at some of these breweries, order a passport for the new Pocono Beverage Trail, which features local breweries, distilleries, and wineries. Paddle the wild, scenic Delaware River with ShawneeCraft Brewery every Friday in the summer at 6 p.m. The 3-mile guided canoe trip ends at ShawneeCraft Brewery—right along the riverbank—and includes a flight of craft beer. Another option is taking a ride with Shawnee River Trips. Not a guided-tour type? Paddle your own watercraft down the Delaware and dock your boat while you sample beer at this brewery tucked in the forest. ShawneeCraft brews "old-fangled beers," like those your great-great-granddad may have enjoyed. It typically offers 10 rotating options on tap along with bottle-aged brews. If your stomach is grumbling, too, try a from-scratch pizza or warm jumbo pretzel with your beer. Free tours are offered Wednesday-Sunday at its location adjacent to Shawnee Inn and Golf Resort—no reservations are required. During summer, a portion of Camelback Mountain Resort reopens as Big Pocono State Park with roads and hiking trails that lead to or begin on Camelback Mountain’s summit—the Poconos’ tallest peak. The scenic Indian Trail begins at the 2,133-foot summit and travels 1.3 miles in a loop to ledges along the mountaintop. It features views of the Delaware Water Gap and is known for wild fruit that grows along the path. Bring your hiking boots as this trail, like many in Pennsylvania, is quite rocky. After hiking, drive four miles to the Poconos’ original brewpub, Barley Creek Brewing. Toast to a day in the mountains with a refreshing Navigator Golden Ale or an Iron Arm Belgian Style Wheat, or try the heavier Irish stout. Taste the elevated pub fare like Spicy Pickles and Garlic Knots. Learn how Barley Creek brews its small batches with a free brewery tour and tasting every day at 12:30 p.m. If you can’t get enough of the outdoors, stop by the Pint Size Park and beer garden, which is open Sundays to Wednesdays. Explore the Delaware Water Gap on two wheels by renting bikes through Edge of the Woods Outfitters. You can take a self-guided tour through the region using the McDade Trail, a well-maintained path that parallels the Delaware River for 30 miles. Along the way, you’ll enjoy incredible views of the mountains and river. Edge of the Woods will transport the bikes to the trailhead at Smithfield Beach and pick them up when you’re finished. After biking, drive to the Pocono Brewery Company, where a secluded outdoor beer garden awaits. Taste the mountains with a Pocono Pines Pilsner, which is brewed with spindles from area pine trees on Italian equipment. Pair your pint with a wood-fired pizza made in an oak-burning oven. Find relaxing recreation at the 5,440-acre Tobyhanna State Park, which features a sand beach surrounding 170-acre Tobyhanna Lake. Rent a rowboat, kayak, paddle boat, or canoe from Memorial Day to Labor Day, or simply swim in the crisp waters. Once you’re ready to call it a day, drive eight miles to Jam Room Brewing, a small music-themed brewery in the town of Newfoundland. Sip a beer flight from a guitar-shaped plate, and taste varieties like Double Bass Dopplebock, Long Play IPA, and High Proof Cosmic Nitro Milk Stout. Buy a growler to-go of your favorite. Man-made in 1927 to provide hydroelectric power, Pennsylvania’s Lake Wallenpaupack stretches 13 miles with 52 miles of shoreline. It’s a recreation hotspot for boating, fishing, hiking, and swimming, surrounded by forest lands and wildlife. Hike the 1.8-mile Wallenpaupack Lake Trail to see the beach, new visitor center, and the magnitude of this massive lake. Rather cruise than hike? Take a Wallenpaupack Scenic Boat Tour that covers a third of the lake while detailing the area’s history. Follow your lake day with a visit to the new Wallenpaupack Brewing Company, just a few miles from Lake Wallenpaupack. Don’t miss the beloved Paupack Cream Ale, or order a four-beer flight for a taste of more brews. For something different, sip a Smoke on the Water, a German lager brewed with Cherrywood Munich malt smoked locally by Deer Creek Malthouse. No matter which adventure you choose, there’s plenty of beer to pair with it in the Pennsylvania Poconos.